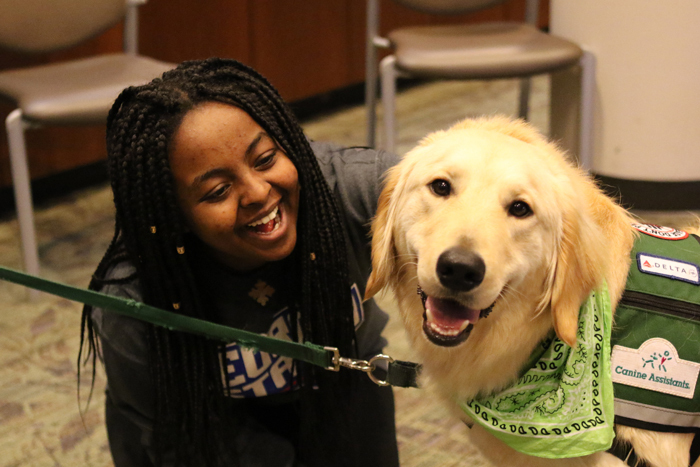 Broad smiles and wagging tails were plentiful as more than 200 students visited Woodruff Library on Monday for the fourth annual Pet Therapy Study Break. 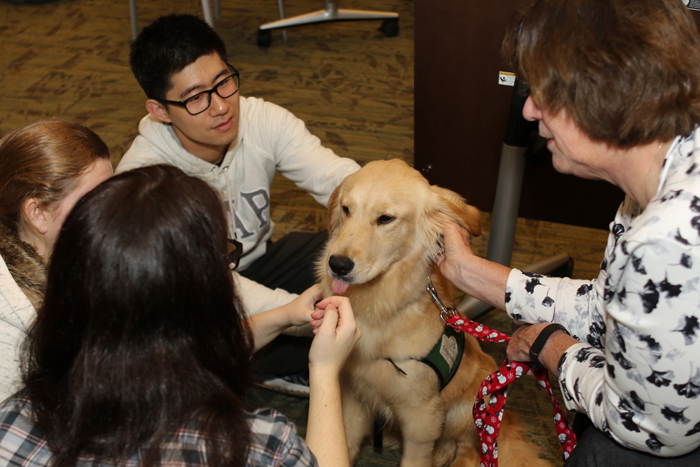 The popular event lets students relieve the stress of final exams by petting and playing with a host of canine companions. 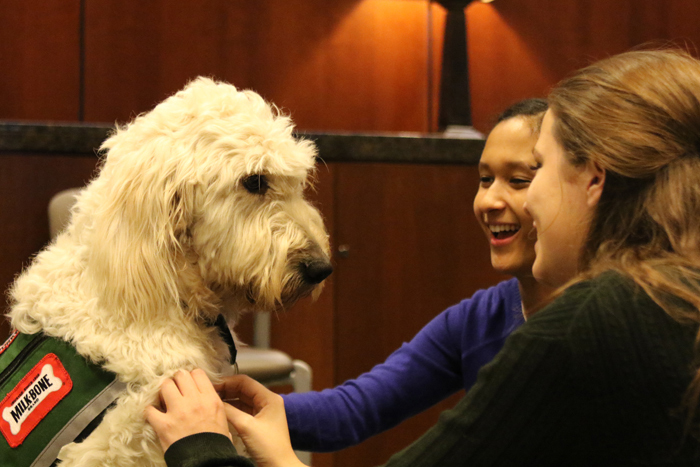 "The Pet Therapy Study Break this year was a big success," says Erin Mooney, outreach and education librarian. 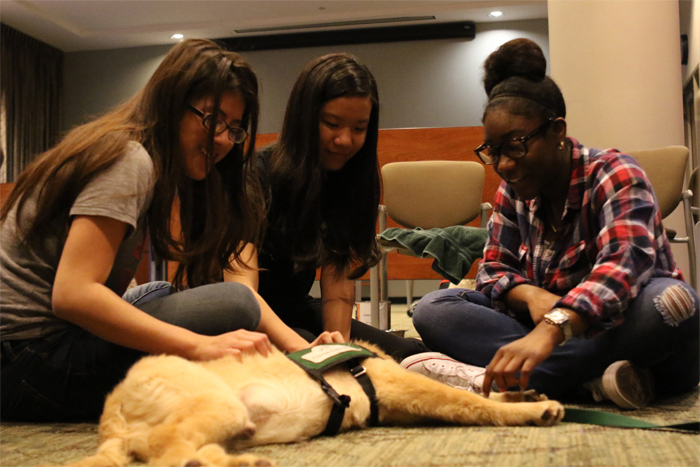 "Petting the dogs for a few minutes is such a great stress reliever for the students, and they're all smiles when they're here. 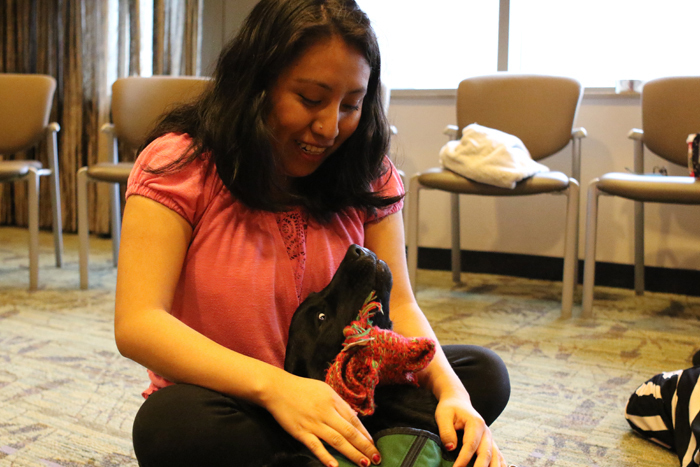 We really enjoy being able to provide this type of study break for them." 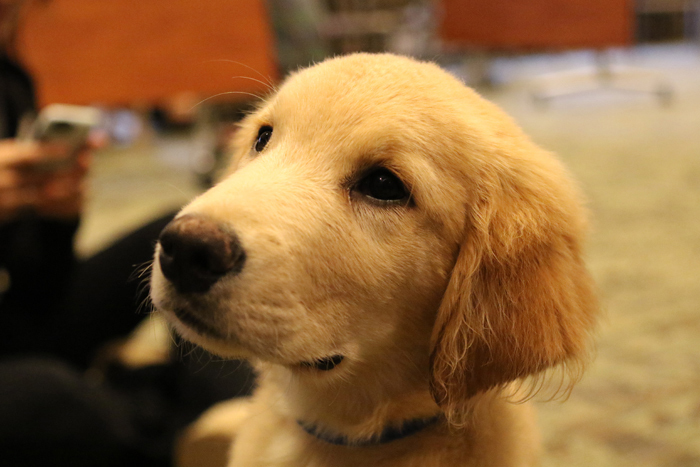 The Woodruff Library started its dog study breaks in 2012, modeling them after a similar event at Emory's Hugh F. MacMillan Law Library held earlier that year. 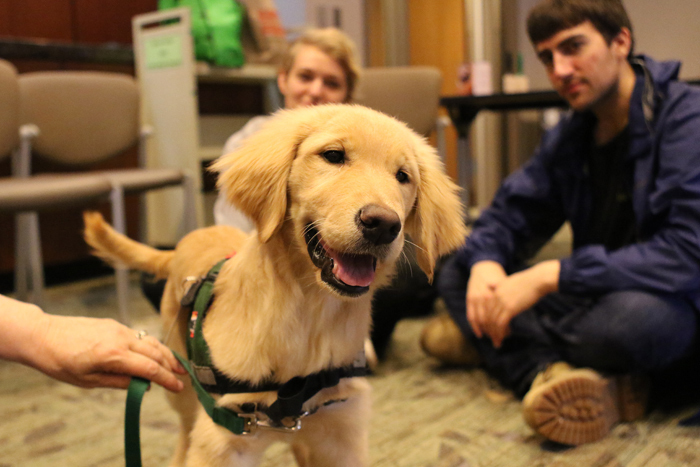 Monday's study break featured dogs from Canine Assistants, a non-profit that trains and provides service dogs for children and adults with physical disabilities or other special needs. 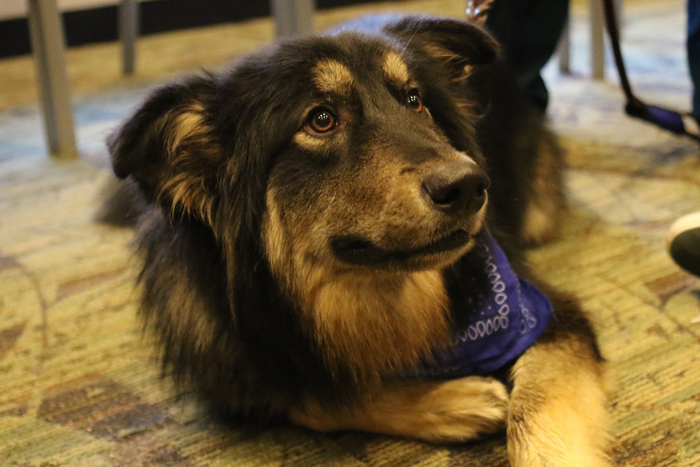 Beowulf, Emory's first full-time therapy dog, also joined in the study break.